"Estate" is an English word related to "real estate," "property," etc. 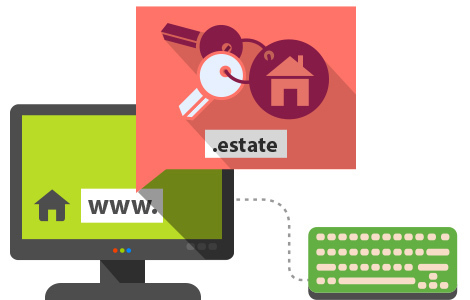 The new .estate domain was especially created for the multiple companies and professionals working in the field of real estate. It is very suitable for businesses related to construction, advertising, selling, management, or real estate leasing. Architects, interior and exterior designers, investors, consultants, and many other professions in this field may take advantage of the well-targeted .estate domain in order to reach their customers. Choose your unique name, written in front of .estate and preserve your place among professionals on the Internet.